The tours based on tips(the “free tours”) are the best to take. 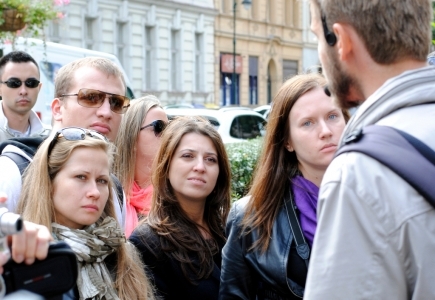 These guides will give their best to make the tour interesting and entertaining. Their tip depends on it. The first time I took a free tour was in Madrid, a few years ago. It was Sandeman’s New Europe – Free Tour of Madrid. Best tour in town. But not all free tours are great, just like not all paid tours are bad :). This entry was posted in Travel Stories, Travel Tips. Bookmark the permalink.